WhatsApp has recently introduced new feature i.e Revoke WhatsApp Messages. What you can do with this feature is, delete already sent messages from your’s and receiver’s phone. Yeah, it is one of the most interesting features ever seen. But, it has a disadvantage too, as many times when someone has told you or say promised you something on WhatsApp Message. When that promise day comes, what you see that the message has deleted. Now, what? There is no proof, right? Well, it is a funny reason came in my dirty mind. :-p It can be any reason when we want to see revoked messages on WhatsApp. 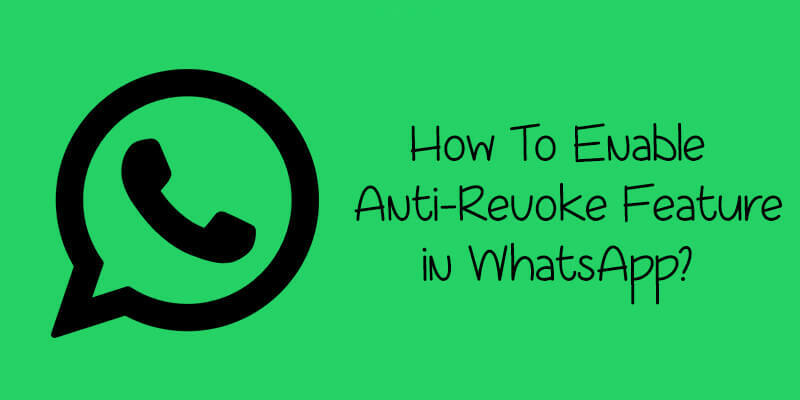 But, what if you can Enable Anti-Revoke feature on WhatsApp? Wow, it seems like a Heaven! How to Enable Anti-Revoke Feature in WhatsApp? There is no Anti-Revoke feature is available on official WhatsApp application. What you can do is, revoke WhatsApp messages and that’s it. Whenever you delete or revoke any WhatsApp message, it will get invisible from both sender and receiver’s device. Then, there is no way to get those messages back in any condition. It will become a problem for somebody in a condition they want to see those messages again. Now, what to do? No need to worry, in this article we are going to tell you How to Enable Anti-revoke Feature in WhatsApp. Maybe you have never used this Mod app before. So, you have no idea how it works. There is no need to worry as we are going to provide you a step by step guide to enable the Anti-Revoke feature in GBWhatsApp. Also have a look at how to schedule WhatsApp messages on Android. As you already know, there is no option available to enable Anti Revoke feature in WhatsApp app. Then what should you require to enable it? No need to worry because there is no special requirement for getting this feature on your WhatsApp. Have a look at all required things to make this possible. These are the only required things to use Anti Revoke Feature in WhatsApp. Whenever you get ready for these all mentioned things, you can follow the steps given below. Make sure you have already checked out Requirements section before proceeding to these steps. If you have checked then start following one by one step shared-below. 1) First of all, you need to uninstall official WhatsApp app from your phone. Because you can’t use two WhatsApp apps with the same phone number. If you are going to use a different number in GBWhatsApp then no need to uninstall. 3) Install the downloaded Apk on your phone, you will get it in the download folder. 4) Open the app after successful installation and verify your number via One-time password. 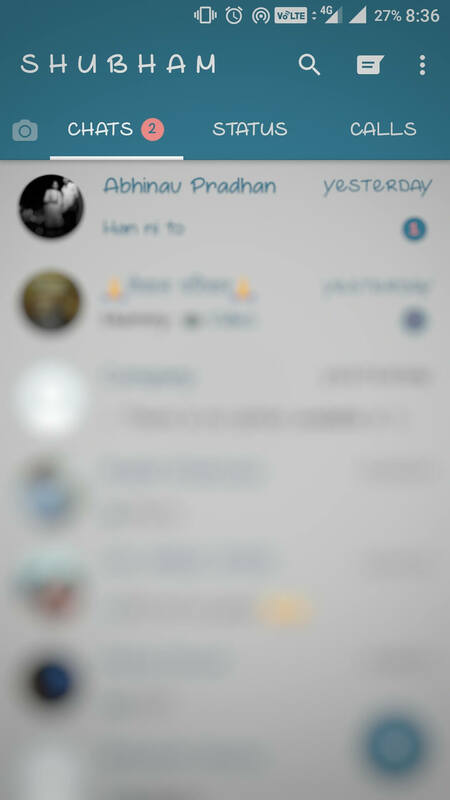 5) Setup Display Picture & Name and your GBWhatsApp is ready to use. 6) Now, to enable Anti-Revoke feature, click on a top right corner on the main screen. 7) You will see an option “Enable Anti-Revoke Feature” on the list. Simply enable the feature from there. 8) That’s it. Now, tell any friend to send and revoke any WhatsApp message to your number and check the message will remain visible in your WhatsApp. 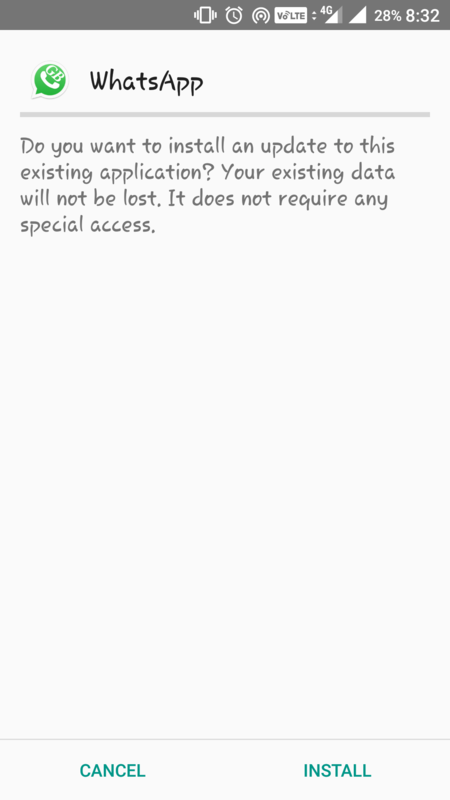 This is the Anti-Revoke feature which is only available in GBWhatsApp Apk. Maybe in upcoming updates, official WhatsApp will add this feature too. But, right now, you have to use GBWhatsApp in order to access Anti Revoke feature. To make this tutorial easier, we have also shared Screenshots for each unique step. 🙂 It is time to shock your friends by showing them a message which they have revoked from the chat. :-p . Also don’t forget to have a look at how to download WhatsApp stories on Android. So, this is How to Enable Anti-Revoke Feature in WhatsApp. Now, you can follow this method on any Android device. This feature protects all of your received messages from getting revoked. No matter even if the message sender has revoked message to receiver & sender both, it will remain available in your chat. In case, you are facing any problem in this tutorial, feel free to ask in the comment section. Stay tuned at modapksdownload for more cool tips & tricks like these.